Stunning Australian songwriter and performer, Donna Boyd combines an exceptional voice, a superior audience engagement with insightful song interpretation and song-writing ability. Donna's recent album, Luckiest Girl Alive, saw her team up with producers - David Carter (Carter & Carter) and Adrian Hannan (Gabriella Cilmi, Vanessa Amorossi, Delta Goodrem, Taxiride). Recently appointed as the Outback NSW Ambassador, Donna communicates the benefits of traveling in your own country and discovering rural and outback Australia. 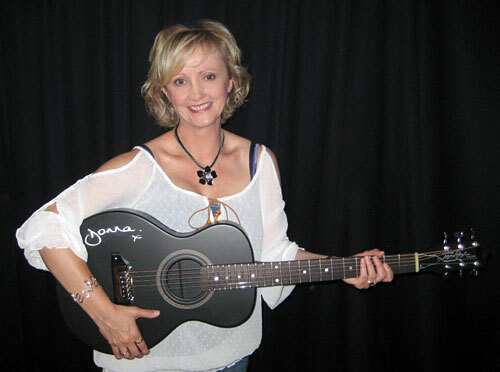 Donna's song Take Time has been licensed for advertising by the new Outback NSW Tourism Campaign for 2009 and the Royal Flying Doctor Service has licensed her spine tingling acoustic version of Amazing Grace.